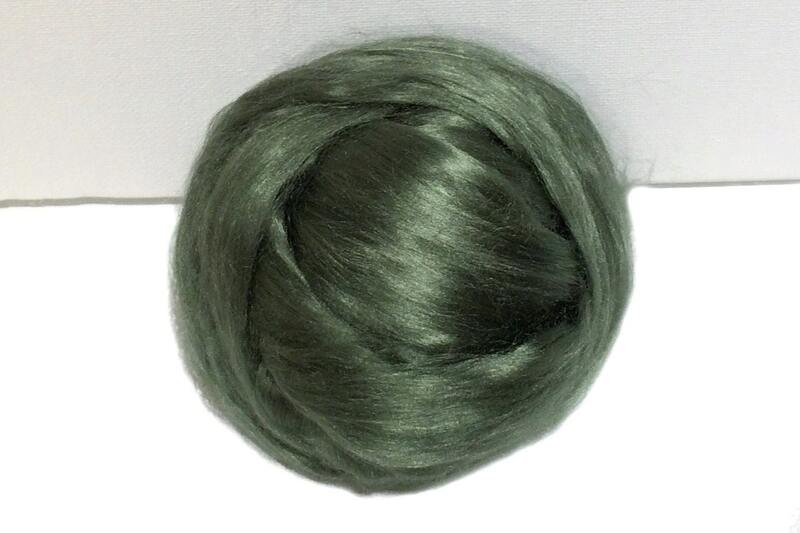 Sage Green Bamboo roving, top, Needle Felting, Spinning Fiber, Medium Green, silver green, Pistachio 1 oz. This listing is for 1 oz. 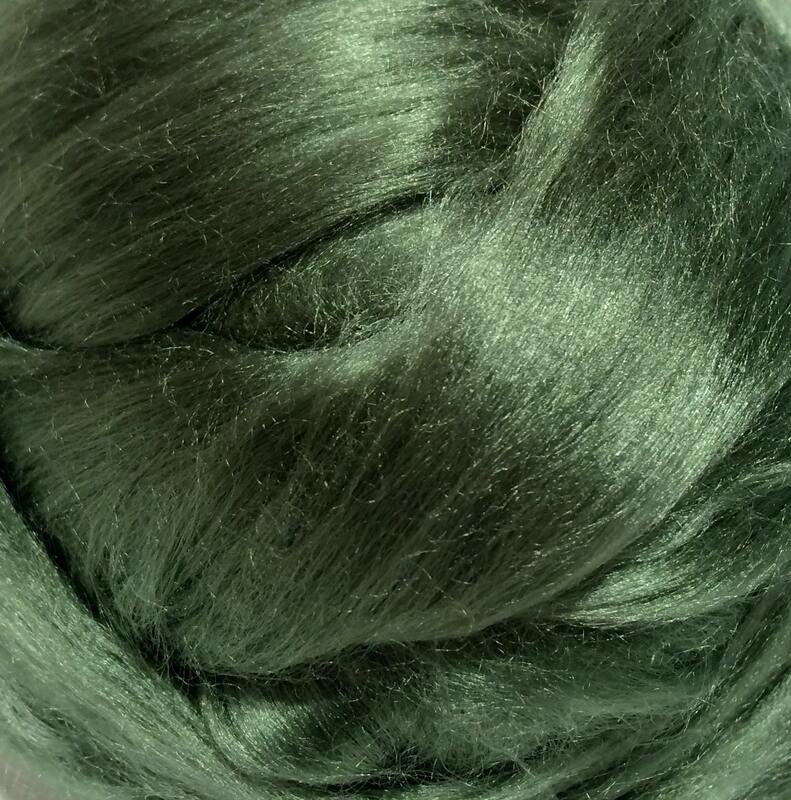 of gorgeous, Sage Bamboo from viscose. One ounce of bamboo roving is about the size of a small tangerine. Bamboo is a cellulose fiber so it does not felt by itself. 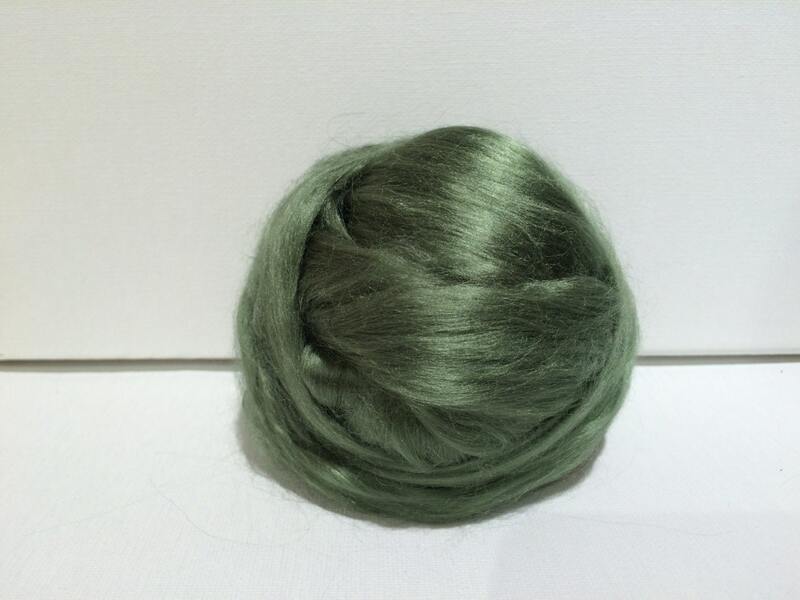 It's used in Nuno Felting in the way that silk is--by blending it with wool so that it is trapped by the wool. It can also be used in needle felting, but, again, we recommend blending it with other, less slippery fibers for the best results. 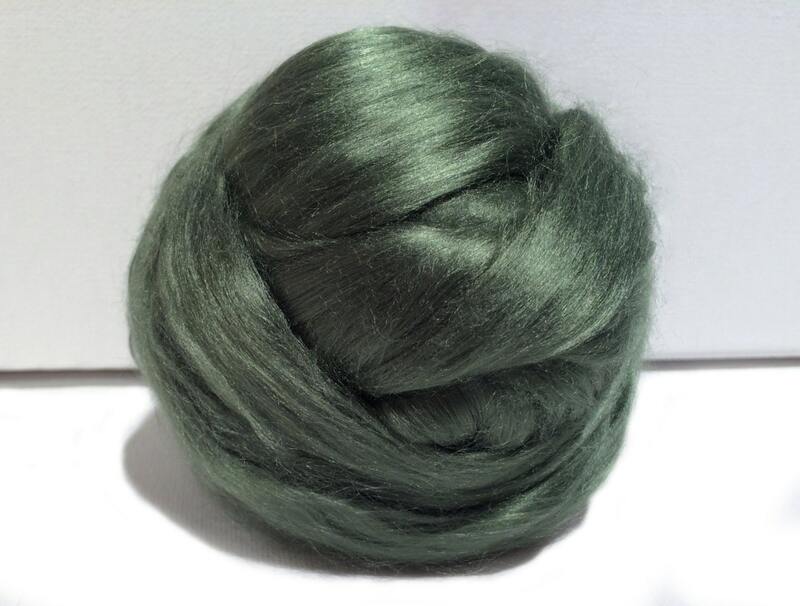 *We ship and store our wool/ fiber products with lavender. Please let us know if your allergies are an issue. So nice fiber.It shipped on time.Thank you. Great seller, good quality merchandise!!! Highly recommend. Thanks. exactly as presented and shipped promptly.